There are three regular channels"CH1", "CH2" and "CH3" and each channel's parameters including temperature and airflow can be set. Password protection function and key-lock function. Real time operation by the magnetic switch and it sets to sleep mode when the handpiece is returned to the holder. It can automatically sleep and set parameters in the sleeping state. Large power and rapid heating. Temperature can be conveniently adjusted and the temperature is accurate and stable, and not affected by airflow. It uses a brushless whirlpool motor and the airflow is adjustable with a wide range but no level. It is a multipurpose unit. 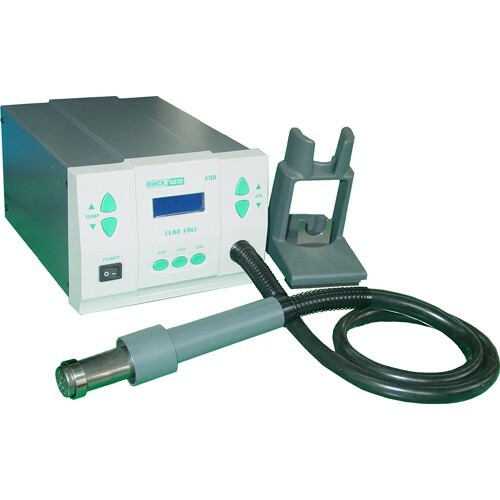 Automatic cooling system can prolong the heating element's life and protect the handpiece.